ORA is about to release first 1:43 scale resin models in the Mercedes-Benz L10000 series. Model is developed in a close contact with the Mercedes Benz Modelauto Club. Each individual detail went through the scrutany of MBMC review. Over the years, L10000 had three different cabins, sleeper versions of the same cabins, at least two different type fenders, at least two different bumpers. 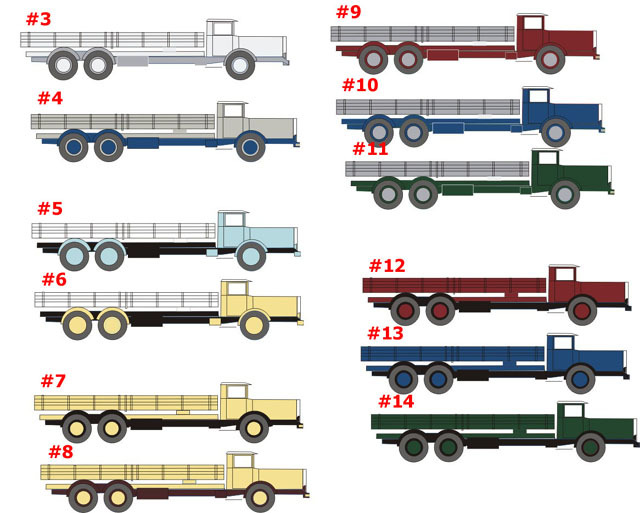 PLEASE LET US KNOW IF YOU HAVE RARE, UNPUBLISHED PICTURES OF MB-L10000 or MB-L6500 (a smaller two-axle version). 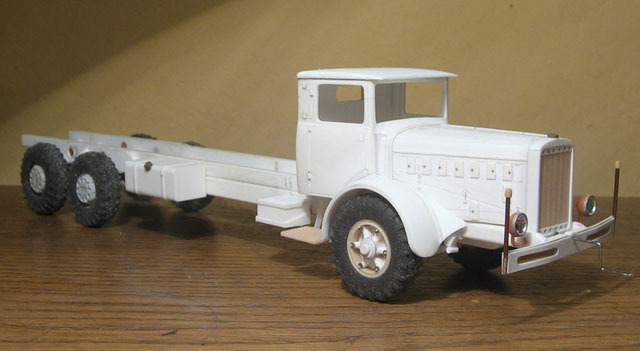 First model is 1935 (the earliest) cargo truck. One can see the early cabin, early fenders and early bumper. Pictures of the body are coming soon. Custom versions and bodies are available upon request for additional price (please e-mail for a quote). Each chassis will be individually numbered. All models are handmade. Only five to seven models will be made every month. You can reserve your model by e-mailing webmaster@RussianScaleModels.com. existed, ended pretty much at the German Reich>s border of 1939.
radiator frame : chrome, and radiator grille; black.